Today marks my first day on my new home 11F. 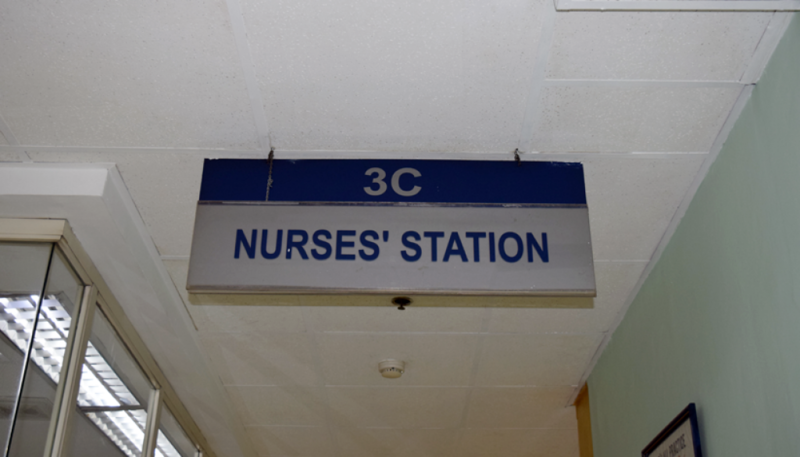 Every two years or so, the entire Nursing Service Division (NSD) recharges to what we call a “reshuffle”: everyone takes a deep breath and impatiently waits for the station where we are assigned next. I was one who took the longest breath as this again is a first in my career and leaving my home station might just be a nightmare rather than a relief. Learning that 11F, where suite rooms and private nurses are common, is where I will be working on, I am thrilled! The distance between 3C and 11F is not a crevice, it is a chasm. I am bound to relax all my tense muscles and apply more make up. Gone are the long hours and heavy workload, I have prepared for this transition though by looking back. Caring for highly communicable patients while protecting yourself is difficult. In 3C, we believe that senior nurses are the best people who can perform the job. It was supposed to be a 3-month job only, but all my other seniors left already leaving me to extend my days in isolation. Bloody unfair. When you say ‘intubation’, it is not necessarily a code blue; it might be just a silent busy activity requiring 4-5 people working to help a patient breathe via a tube inserted to the trachea to be hooked to an external respirator. – a 70 y/o woman with Chronic Kidney Disease who was seen unresponsive in bed. Her consultant was the one who intubated her and she was later on transferred to the ICU, I later learned that she died. – a 34 y/o man with TB Meningitis, he was seen with desaturations despite the high-volume oxygen via face mask. He was restless while the blade is being inserted in his mouth: one difficult intubation. – a 24 y/o Hodgkin’s Lymphoma patient who has a mass so big that it obstructed her airway. We had to use the glidescope (video intubation) for the tube to be inserted. She was later extubated and underwent chemotherapy. – a 60 y/o man with Hepatic Encepalopathy; the doctors feared that he might have respiratory distress thus the elective intubation. But due to financial difficulties, his family decided to sign a waiver Home Against Medical Advice (HAMA), I have not heard news from this patient again. Code blues are medical emergencies most common when patients are in cardiac or respiratory arrest. I have mastered the art of maintaining my focus in these situations; gone were the shaking hands and startled jerks when the doctors shout. – a 40 y/o woman post Coronary Angiogram. She experienced chest pains during my night shift, upon ECG, we learned she is having a heart attack, thus the code blue. – a 50 y/o woman trans-out from ICU: she is my epic code blue experience. She was seen unresponsive with no appreciable vital signs. The family was medically aggressive and we tried to revive her three times, stopping only when there is a faint sign of life. That’s three code blues in one shift for me, I had to do post mortem care afterwards. Very tiring indeed. – a 60 y/o man whose diagnosis I could not remember, he was in severe tachycardia (very fast heart beat) and eventually his heart became tired. Really, I dread to see a lot of zeros in the monitors. – a 60 y/o woman in mechanical ventilator. Her relative called me to assist in lifting the patient, when I reached her bedside, her face was bluish in clear respiratory arrest. She was later on revived but wasn’t so lucky after a few weeks. I admit, those above have certainly harnessed my skills but I would not have wanted those to happen if I had a choice. No nurse would have preferred experience over patient’s safety. My first two years as a nurse have been worthwhile: I have met awesome people, had 2 fulfillment stories to date, surpassed a great number of times I was charge nurse, which I don’t want to remember how many. I will miss all the action, meal-less duties in 3C, cash-basis patients, and the 3 station phones that never seem to stop ringing.